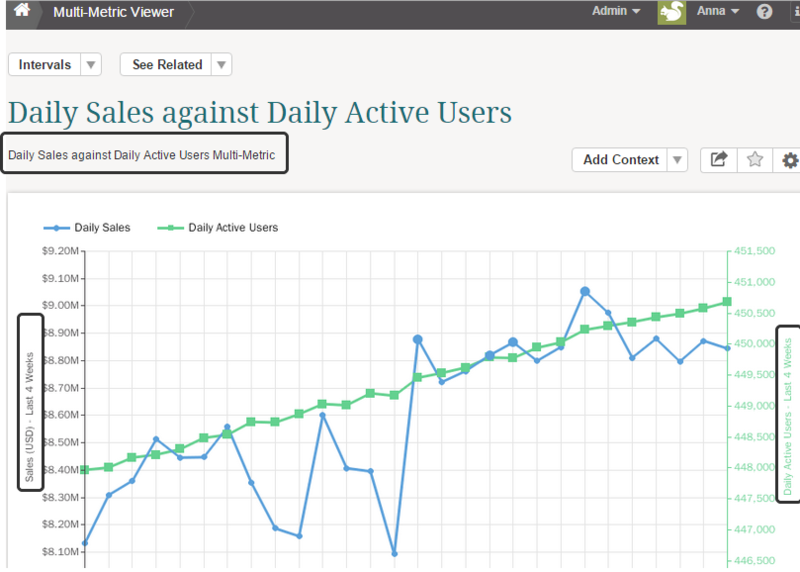 Multi-Metrics provide the ability to quickly combine multiple existing metrics into the same chart. Individual metrics can be drawn against one or 2 axis and can be shown as a combination of Bars and Lines. An Undimensioned Multi-Metric is one for which a single tile exists (that is, the Multi-Metric itself is not dimensional). An undimensioned Multi-Metric can include BOTH dimensioned and undimensioned Metrics. 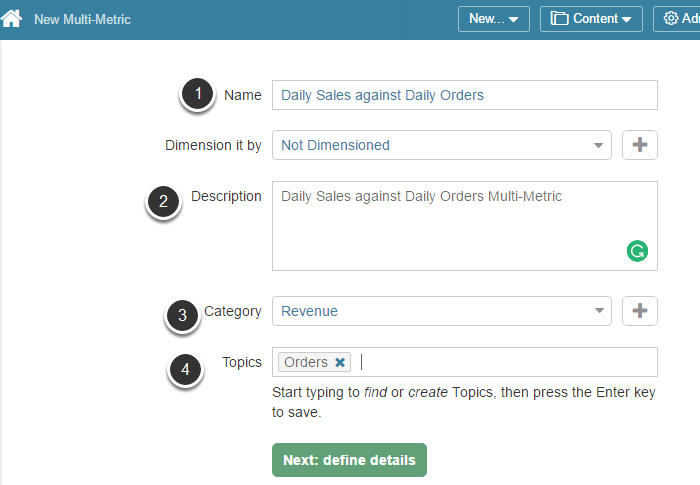 For instance, you may choose to display 'Total Sales' (an undimensioned Metric) together with Sales from the 'US' and 'Canada' (a sales Metric dimensioned by country) on the same Multi-Metric. 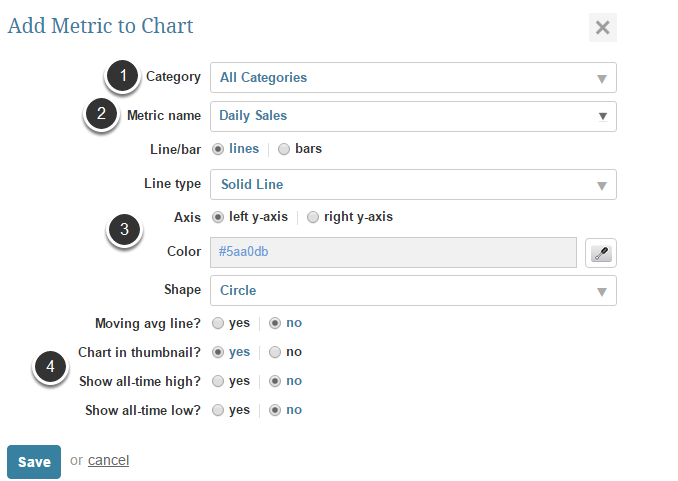 You can further modify chart attributes via the edit gear on grid also. 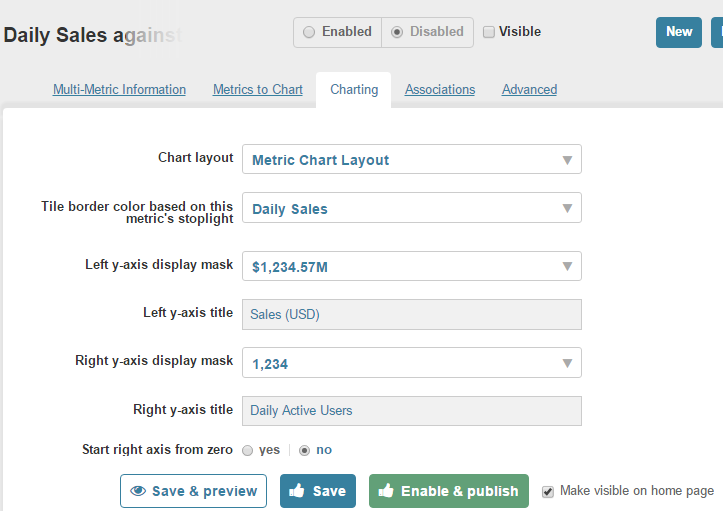 Prev: When is it necessary to "Update Live Chart/Report" to see changes made on the Element Editor?